Looking for a powerful backup software for your SQL Server? 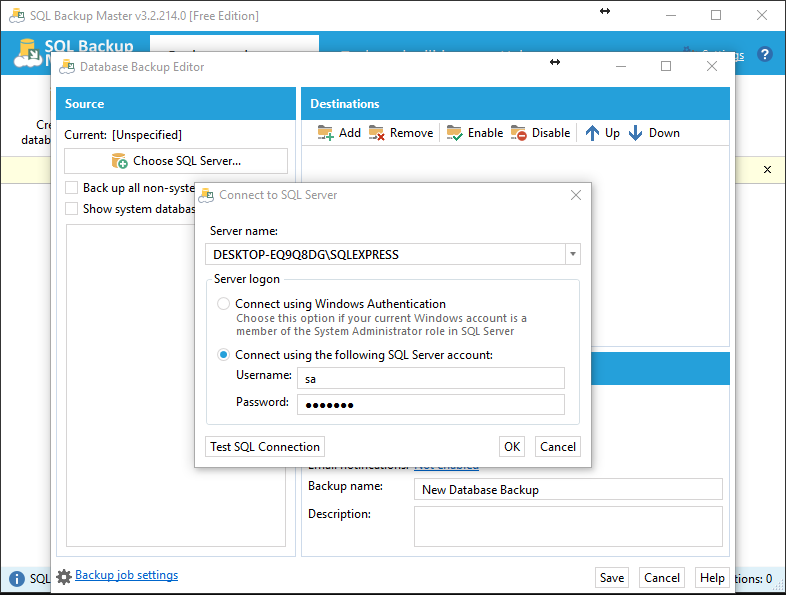 Today we are going to review the new SQL Backup Master, a popular SQL Server backup software for Windows. The new version of SQL Backup Master 4.0 is available when this article is being written. This SQL Backup Software supports almost any SQL Server versions including SQL Server 2017, 2016, 2014, 2012, 2008 and also 2005. No matter which SQL Server you have, this backup software will cover them all. If you are planning to backup your SQL databases to cloud storage, SQL Backup Master is for you. This backup software supports various cloud backup storage such as Microsoft Azure, Google Drive, Amazon S3 and some others. It also supports local disk and FTP server. For a complete list of features of SQL Backup Master, please visit this website. We are testing the free version of SQL Backup Master and we personally loved it. It is very easy to use even for a new users you won’t find any difficulties to start backup your database. The user interface is one of our favorite. It doesn’t take a long way to get our first backup job done. We tested to backup our remote SQL Server and this backup software has done its job excellently. This is one of our Database Backup Software we’ve ever tried. SQL Backup Master allows us to create new database backup task by choosing the SQL Server. It supports windows authentication and also SQL Server authentication. 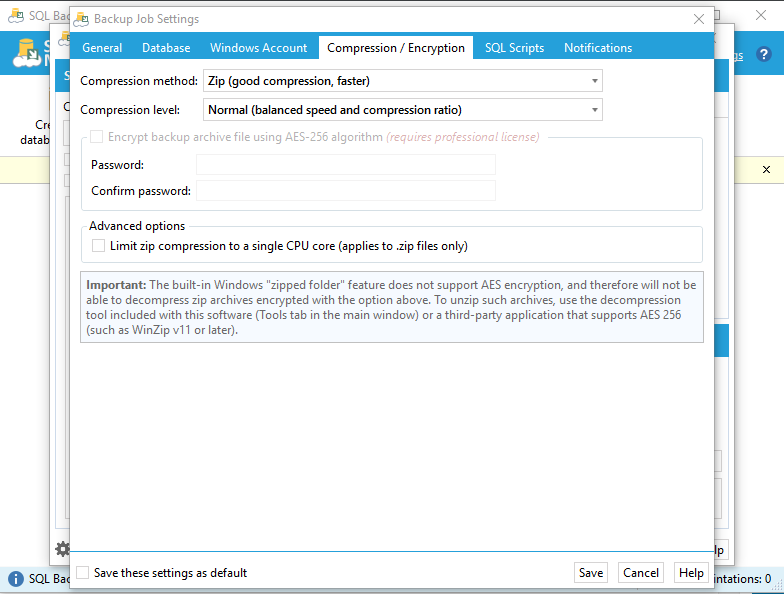 Like we’ve mentioned previously, this SQL backup software support various backup destination. You may choose to store the backup to local disk, local network, ftp server, and many Cloud storage. This is a modern SQL utility. If you need more configurable settings, this program also provide many settings you may need. For example, we can change the compression and encryption feature, change temporary folder, configure email notification and many more. 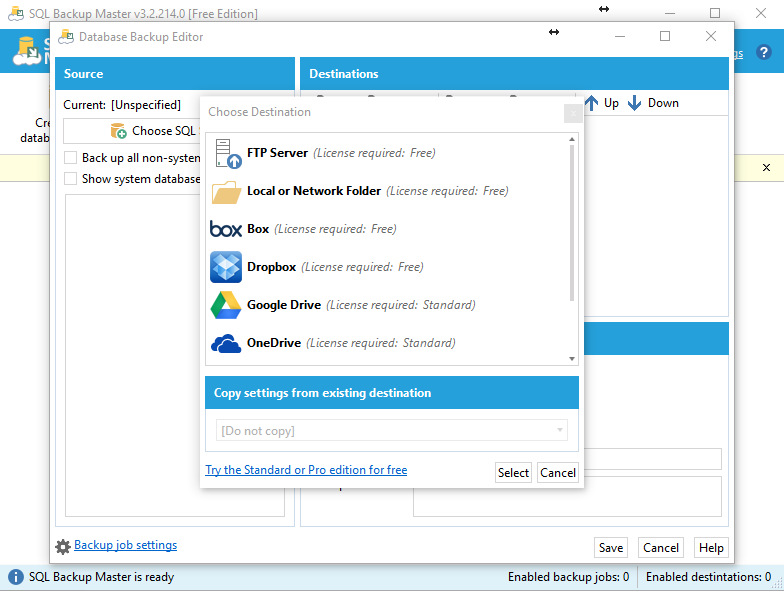 SQL Backup Master is a reliable, easy to use SQL Database backup software for Windows. Thanks to its simple user interface. 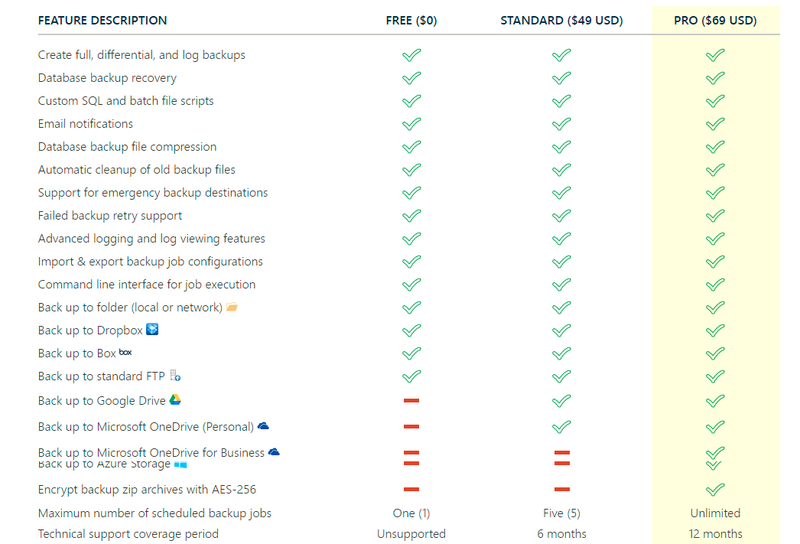 The price is not too expensive if you need more supported cloud storage. The free version is good for personal users.